I’m crazy for the weird-but-wonderful color combination here. This floral has such a gorgeous neckline. 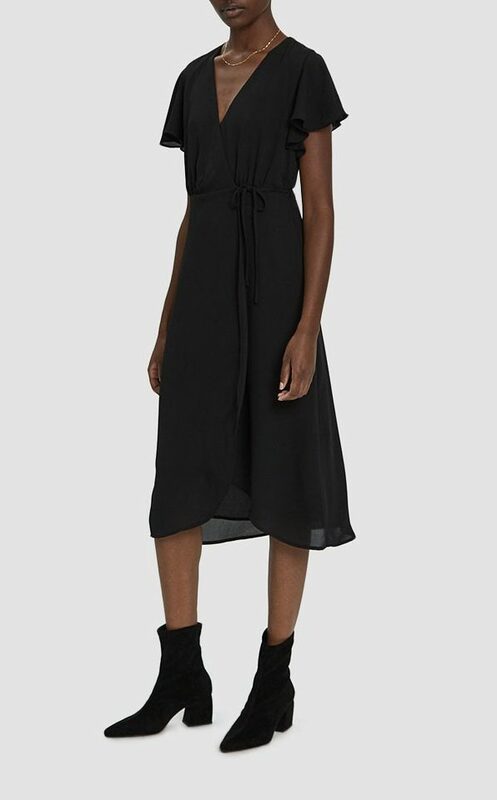 A basic black wrap dress with pretty flutter sleeves. So feminine, but with nicely clean lines. I’d wear a thick leather belt with this fun leopard print. 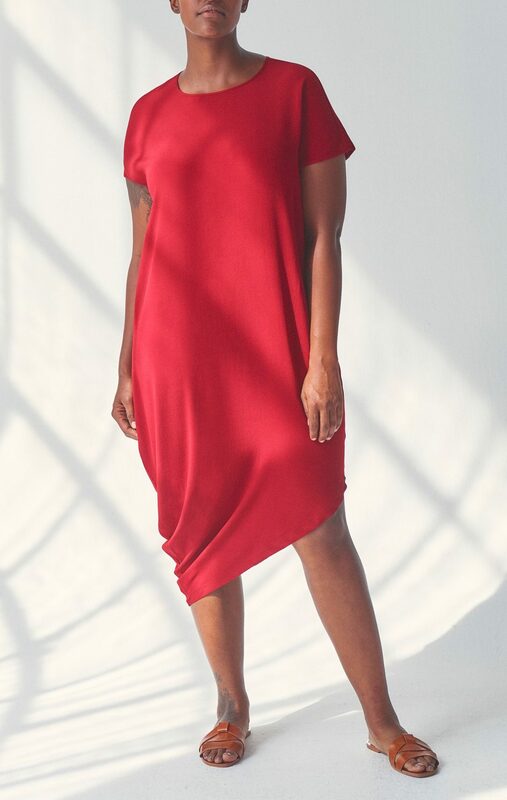 The lipstick red here is so good, and I like the gracefully asymmetrical hemline. I am similarly taken with this keen yellow dress; it drapes really nicely and looks more expensive than it is. 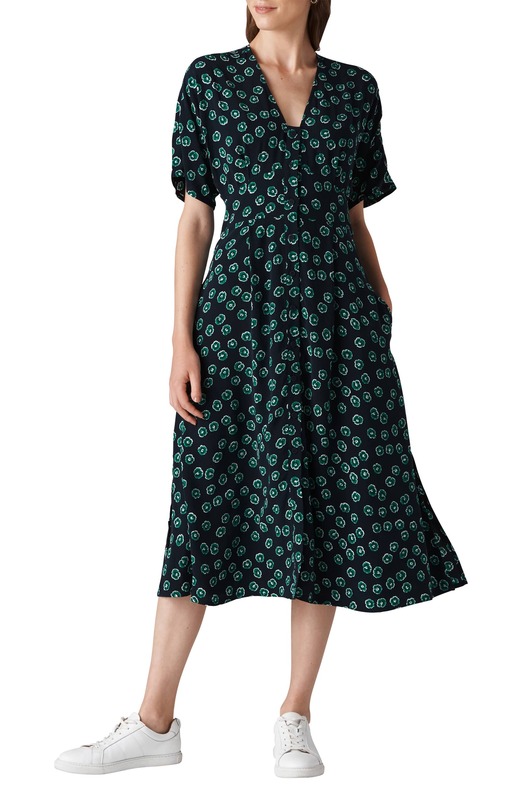 I like that this shirtdress is all business up top, with a little fun at the hemline. 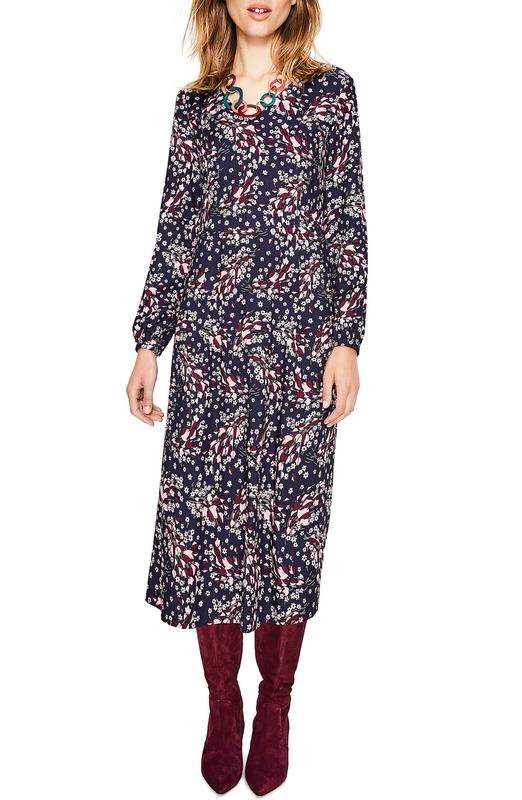 I also think the print is stupendous. This is so much more Lady than I usually go, but I just think it’s so pretty. And this dress is obviously quite ladylike, but it’s got a bit of toughness too. 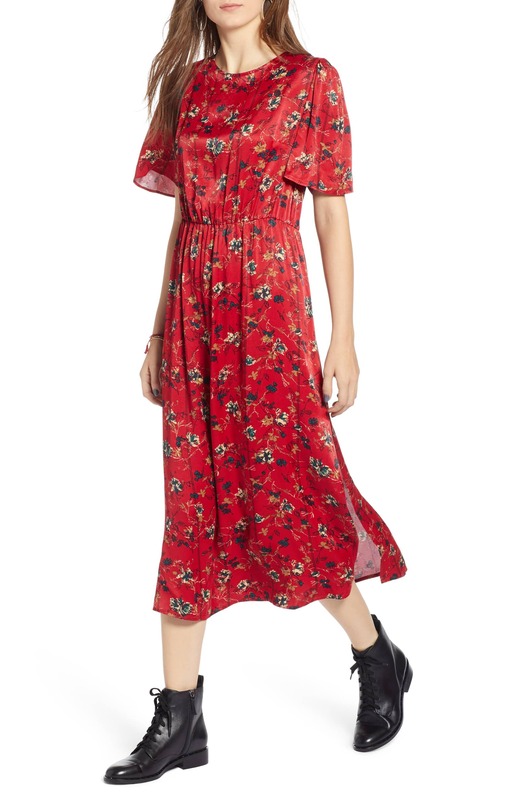 Just a good red floral at a nice price. White on a black background is so excellently graphic here. And yet another floral, this one with bright, happy bursts of green. I adore the flirty neckline here, and the sweet swingy skirt. They styled this dress with a kind of distracting necklace, but I think it’s good enough to transcend that. 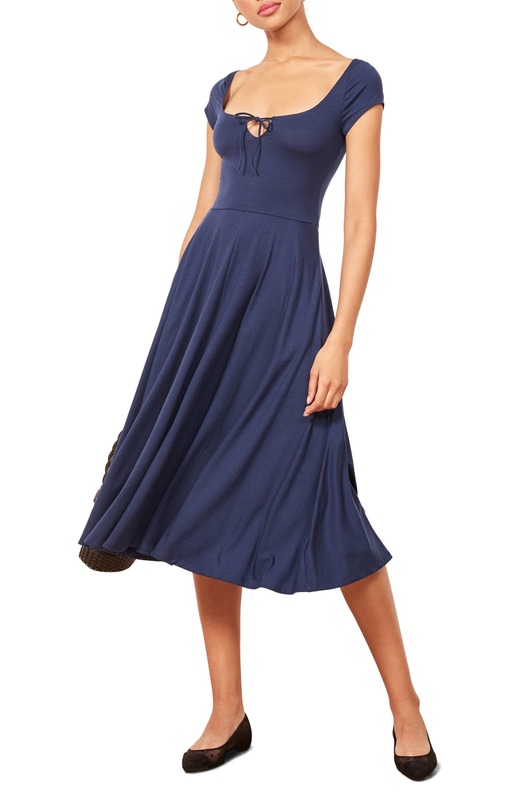 A clean-lined-but-statement-y dress with a very becoming shape. 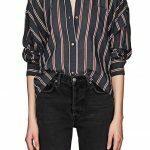 I don’t typically go in for one-shoulder anything, but this really works for me. This isn’t available in many sizes, but the smocking is so cute I had to include it despite that. This feels very office-to-cocktails to me. And this is nicely sophisticated but still low-key. Good morning! I’ve been having some technical issues accessing your site and wanted to put them on your/ your web developer’s radar in case there’s an issue. Lately when I try to go to your homepage it always takes me to the homepage from September 17th (that Monday’s post in on top). The only way I can navigate to your current posts is by clicking through the newsletter. There also isn’t an option to click on October in the archive drop down menu. I’m not sure if I’m the only one having this problem, but I’ve tried it on two computers and had the same result. I also tried sending an email to let you know and it got bounced back. Thank you as always for this wonderful blog and community! Good morning! I've been having some technical issues accessing your site and wanted to put them on your/ your web developer's radar in case there's an issue. Lately when I try to go to your homepage it always takes me to the homepage from September 17th (that Monday's post in on top). The only way I can navigate to your current posts is by clicking through the newsletter. There also isn't an option to click on October in the archive drop down menu. I'm not sure if I'm the only one having this problem, but I've tried it on two computers and had the same result. I also tried sending an email to let you know and it got bounced back. Thank you as always for this wonderful blog and community! I’ve alerted my tech people, thanks for the heads up. I've alerted my tech people, thanks for the heads up. I’ve had the same issue and thought it was me – thanks, Christina! I’ve been using another browser and that’s been a good workaround for me for a stretch. I've had the same issue and thought it was me - thanks, Christina! I've been using another browser and that's been a good workaround for me for a stretch. That AllSaints dress is everything. I’m not certain I could/should wear something sheer and no doubt the length would be overwhelming on me, but still…oh the agony! 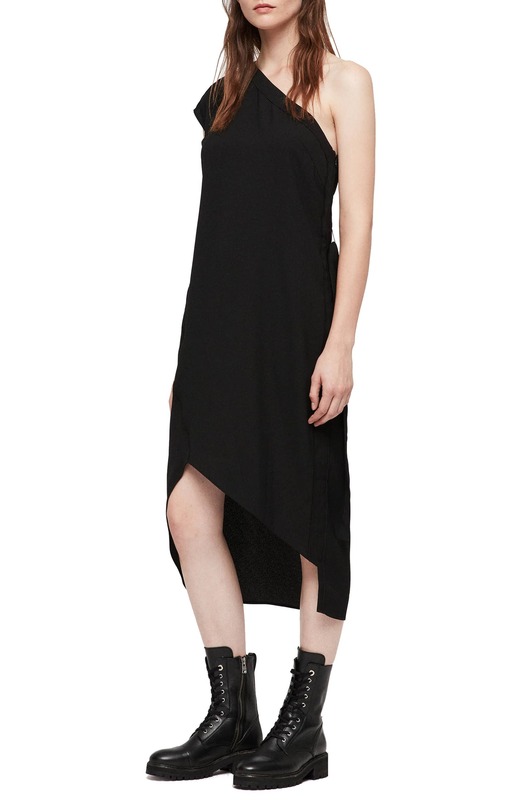 That AllSaints dress is everything. I'm not certain I could/should wear something sheer and no doubt the length would be overwhelming on me, but still...oh the agony! For SURE you could pull it off, c.w. – especially with your gorgeous hair! Get the dress shortened. For SURE you could pull it off, c.w. - especially with your gorgeous hair! Get the dress shortened. If I remember my fabric science class properly (which I probably don’t because I barely ever went) … Velour = synthetic fibres like polyester. Velvet = natural fibres like silk. If I remember my fabric science class properly (which I probably don't because I barely ever went) ... Velour = synthetic fibres like polyester. Velvet = natural fibres like silk. I would wear the first dress to the grocery store, the recycling center and the vet to show it off and to get the cost per wear down. 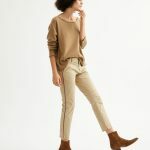 And I love how most of these are styled with tough boots – the AllSaints are screaming my name. Superb post, can’t wait to see part two! I would wear the first dress to the grocery store, the recycling center and the vet to show it off and to get the cost per wear down. And I love how most of these are styled with tough boots - the AllSaints are screaming my name. Superb post, can't wait to see part two! 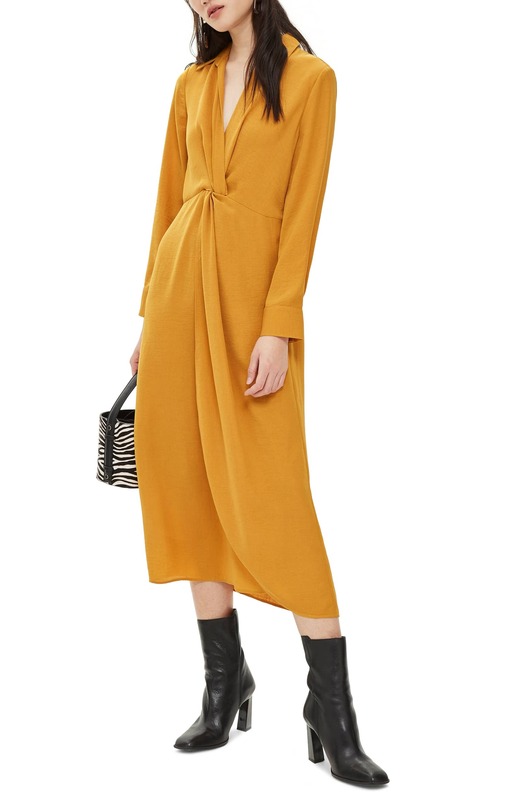 I noticed three-quarter sleeves slowly creeping into outerwear in the summer. I am getting tired of this length in blazers. Taking the next step into trench coats seemed a step too far. I hope they stop the madness before winter coats get sucked into the vortex. I will be shopping in menswear stores if that unfortunate day arrives. 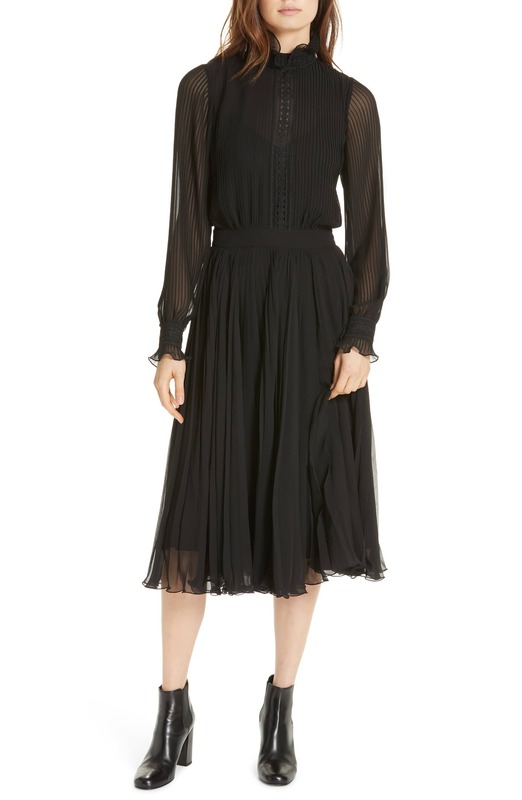 That Ralph Lauren dress is calling my name…it’s ladylike, yes, but it’s also tough and goth and I want to wear a tough leather jacket with it. 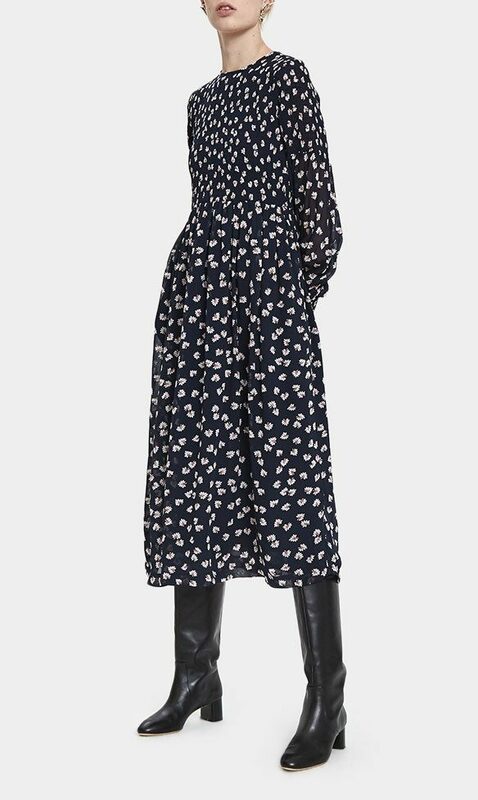 That Ralph Lauren dress is calling my name...it's ladylike, yes, but it's also tough and goth and I want to wear a tough leather jacket with it. Yes please! All of them!! 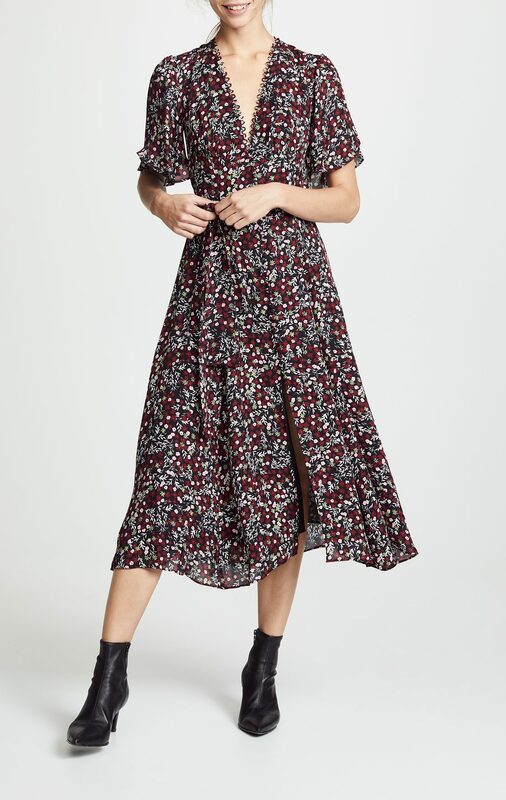 I am in love with the second floral from the top – I’m sad that I have expensive taste. Great post – thanks for inspiring. Yes please! All of them!! I am in love with the second floral from the top - I'm sad that I have expensive taste. Great post - thanks for inspiring.